It's amazing how sometimes you don't realize that some of your college buddies are into the same stuff as you until long after you both have graduated and moved on to completely different parts of the county. My friend Darrell, apparently is also an autograph collector, and even runs a small business called Halkman Sports, setting up private autograph signings with athletes and celebrities. A couple weeks ago, he traveled to San Diego for private signings with former MLB-ers Damian Jackson and Eric Plunk, and sent an 8x10 of each of them my way at a very reasonable price. Damian Jackson had an 11-year career in the majors, with eight different teams. His longest stay with any franchise was with the San Diego Padres, where he played from 1999-2001, and then again in 2004. 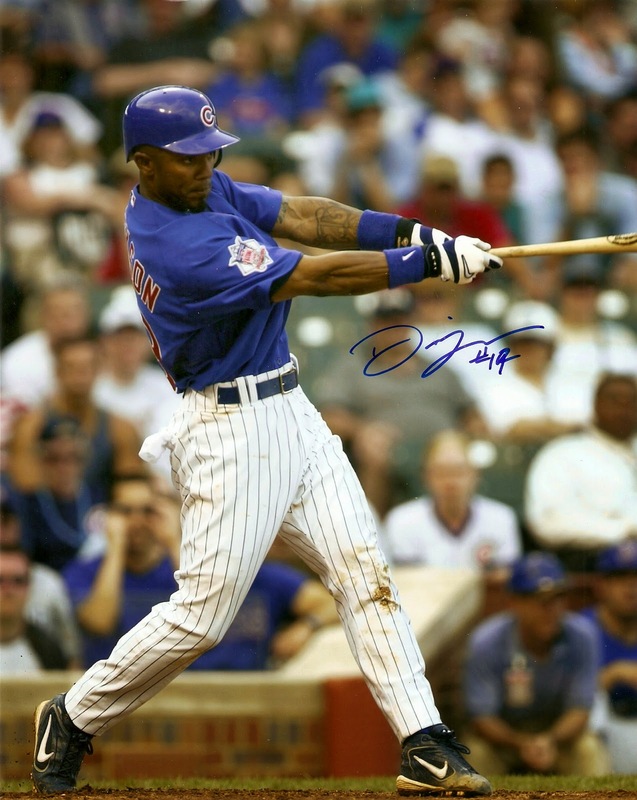 I was very fortunate that a photo was available of him in a Chicago Cubs uniform, as he played only seven games for them in the 2004 season, before being traded to the Kansas City Royals. 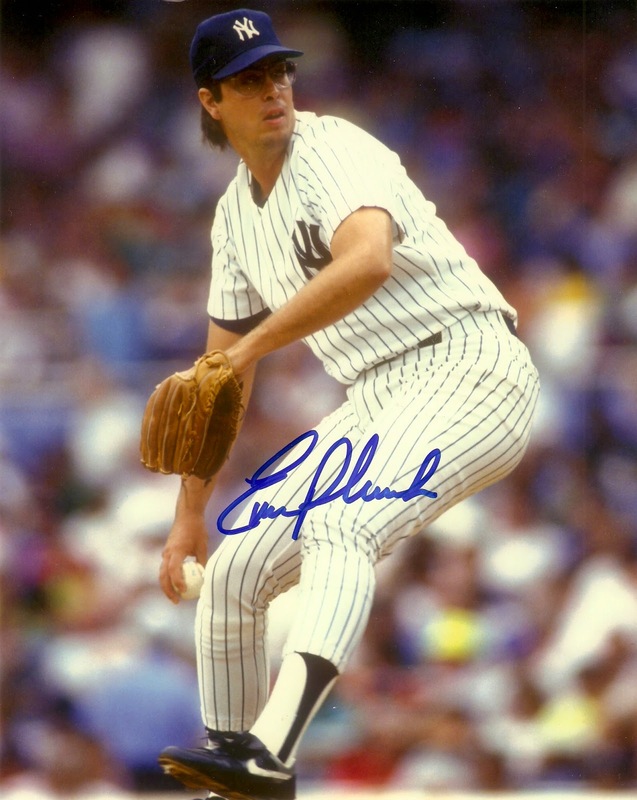 Eric Plunk spent 14 years in the majors, with the Oakland Athletics, New York Yankees, Cleveland Indians, and Milwaukee Brewers. One thing Plunk is notable for is being traded for Rickey Henderson...twice. The first time came in 1984 as a minor leaguer when he and four others were sent from the Yankees to the A's, and the second time came in 1989, when he was sent back to the Yankees with two others for Henderson. He also pitched in two World Series games, in 1988 with Oakland and 1997 with Cleveland. I'm very happy to be adding these to my collection. I know they aren't the biggest names, but for $15 shipped, I just couldn't resist a deal! If anyone else is interested in checking out what else is coming up for private signings, visit www.halkmansports.com/. This is kind of hilarious, I just sent something to him for a Glenn Wilson signing. I might be getting something from him at the Wilson signing, too, depending on if he can get his hands on another 8x10 in an Astros uniform. I believe all the ones he had may be already spoken for, so we'll see.